Secret Cinema has today announced that further tickets have been added for the previously sold out production: Secret Cinema Presents Casino Royale. 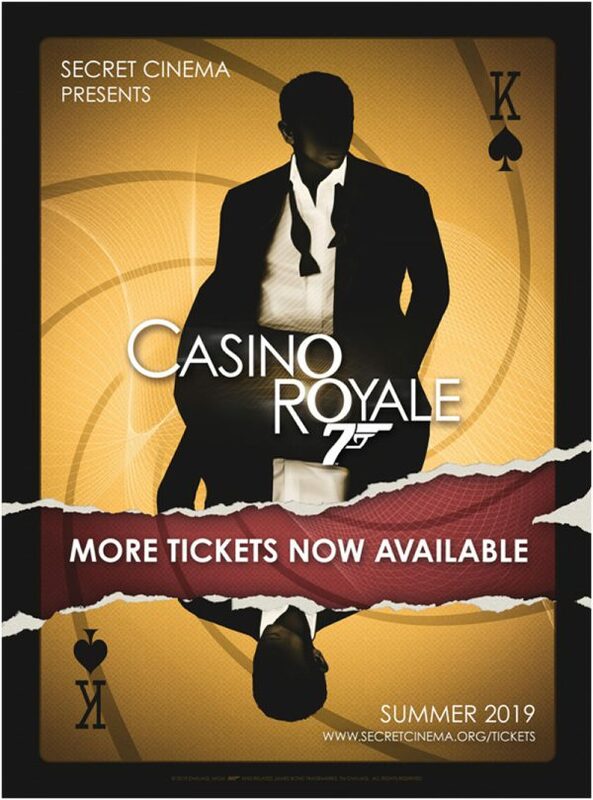 Secret Cinema’s interactive screenings of Casino Royale will now run from Wednesday 5th June to Sunday 22nd September. The additional tickets and show nights go on sale on Friday 25th January at 12pm (GMT). The audience demand for this experience has been unprecedented. The popularity has allowed us to go even further into the world of espionage and create our most detailed production to date. Secret Cinema has continued to push the boundaries of reality to create highly imagined worlds of the most loved films. Taking on James Bond is a hugely exciting mission for us. We are thrilled to welcome Angus Jackson as creative director of this production and building one of our most ambitious worlds yet.